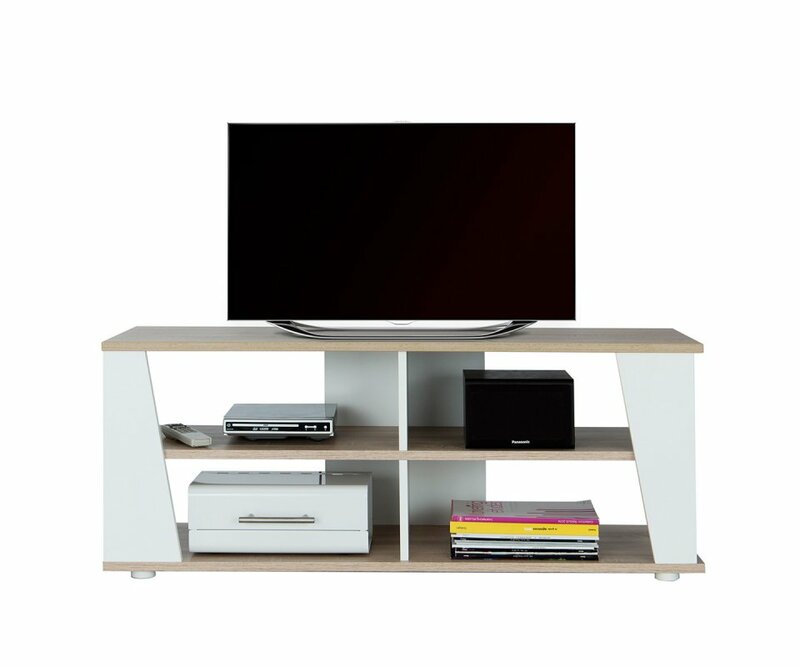 An entertainment area needs a TV stand that creates the focal point of the space. 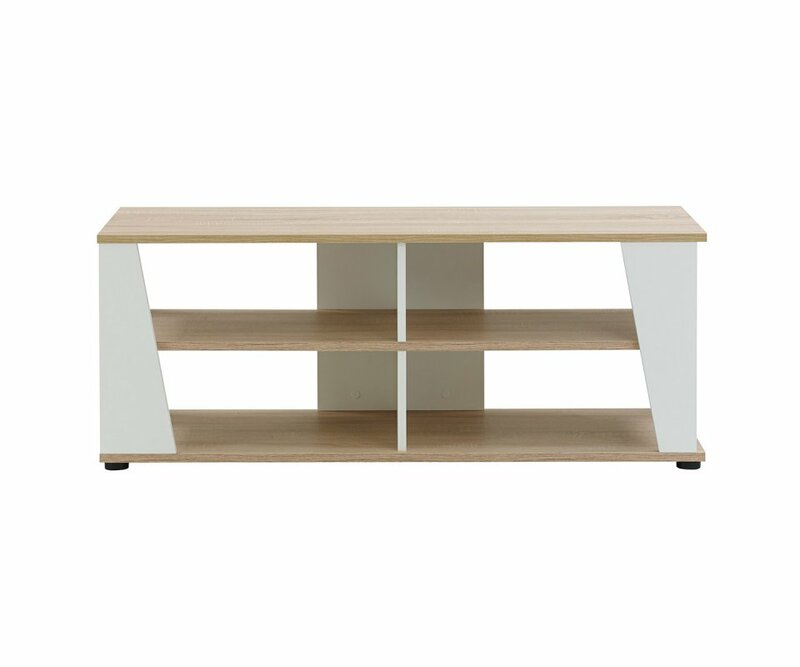 The Origami TV Table is styled in a light, natural color, with sleek, elegant lines that will coordinate with most interior styles and color schemes. 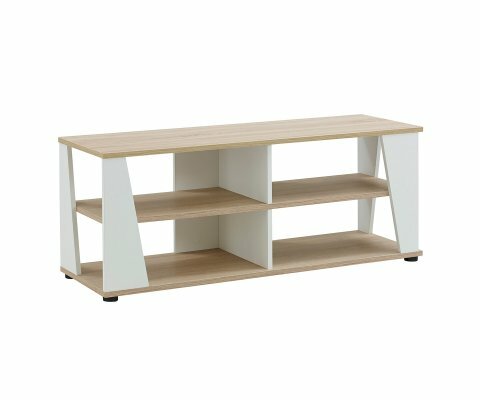 The table is built from top-grade particleboard and heavy-duty steel hardware, with unique, wide angled panel legs that add a slanted design element that is immediately eye-catching. 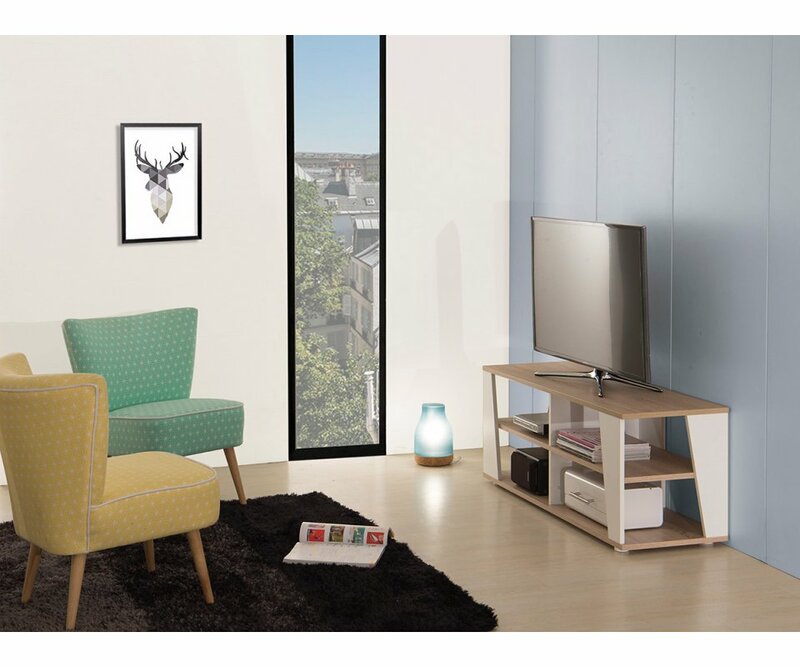 It is finished in a combination of natural Haven Light Oak woodgrain veneer, accented by solid White, adding a fresh, bright look to any room, without competing with furniture and colors already in place. The TV table has wide open shelves that provide storage for media equipment, games, DVDs, and accessories, with space to put baskets for small items, and has an open back to thread cables through to the wall outlet. 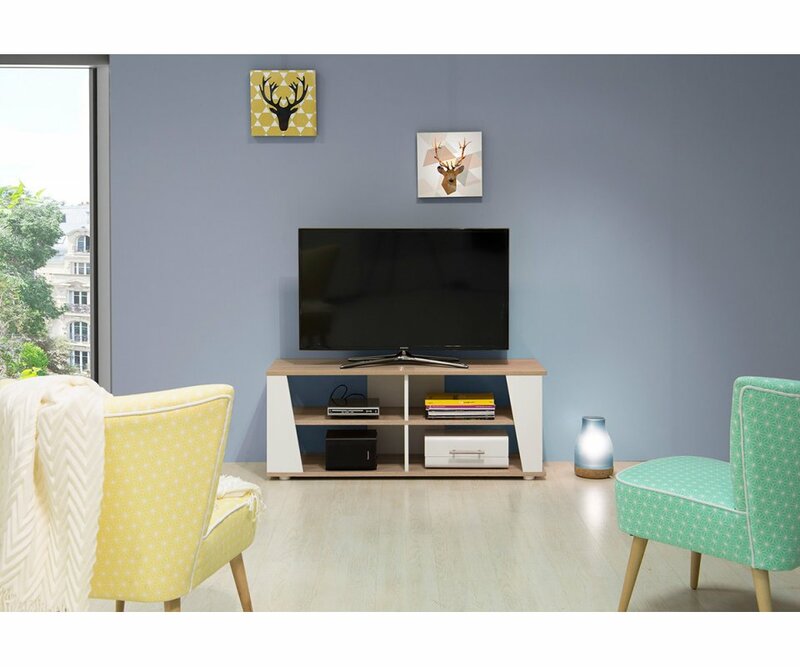 The result is an elegantly designed, impeccably organized unit made specially to create a stunning focal point for the entertainment area of your home. ECLECTIC DESIGN: With neutral color palette and streamlined style, this unit will coordinate with most home interiors, adding an accent piece that will stand out in any roomTWO-TONE FINISH: Haven Light Oak woodgrain and solid White veneers complement each other and add a l..
ECLECTIC STYLE: Streamlined design, neutral two-tone color, and compact size make the Twist desk perfect for smaller bedrooms, apartments, studios and condos, blending easily with many décor styles and color schemesCOMPACT NESTED DESIGN: Two units can be nested, extended i..
SCANDINAVIAN STYLE: The simple square style, unique design, and the light, neutral color coordinate perfectly with many home interiors, and add a pop of interest to any roomBEAUTIFUL WOODGRAIN: Soft Haven Light Oak woodgrain veneer adds elegance to the table, and blends with.. STREAMLINED STYLE: Rectangular design with lower shelf and panel legs add a streamlined, Scandinavian look to the table that adds dimension to any home décorLUSTROUS FINISH: A beautiful Haven Light Oak woodgrain finish enhances the Scandinavian look of this table, and is o..
ULTRAMODERN STYLE: Square shape, unique design, and printed top deck make this coffee table a focal point of any seating area in your homePANEL LEGS: Angled panel legs create the feeling of movement, as well as adding a unique design feature that adds dimension and a desig.. 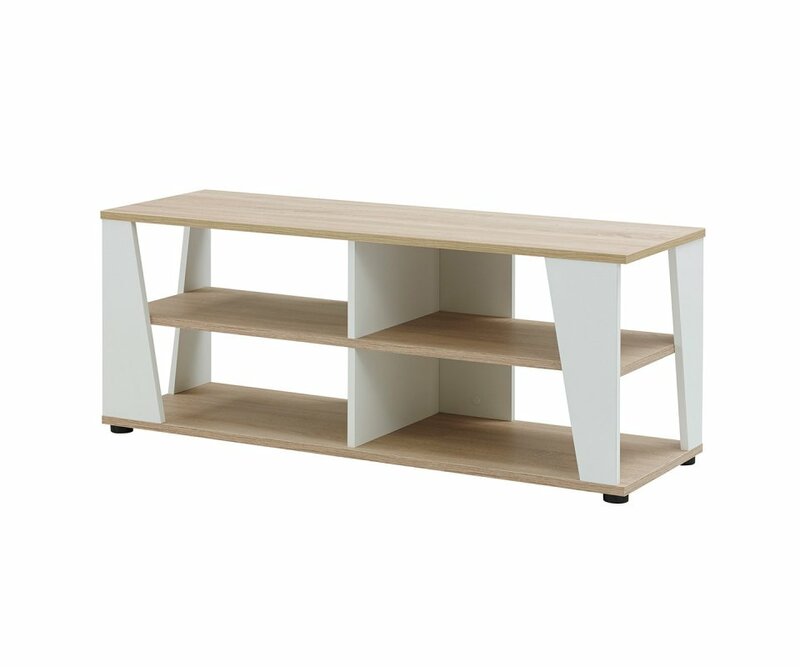 CONTEMPORARY DESIGN: Light color and streamlined design add up to a contemporary table that will coordinate with almost any home interior style and color schemeTWO-TONE FINISH: A combination of Haven Light Oak woodgrain and solid White create a neutral palette that pairs w..